What are the chances you’ll pass your California road test? 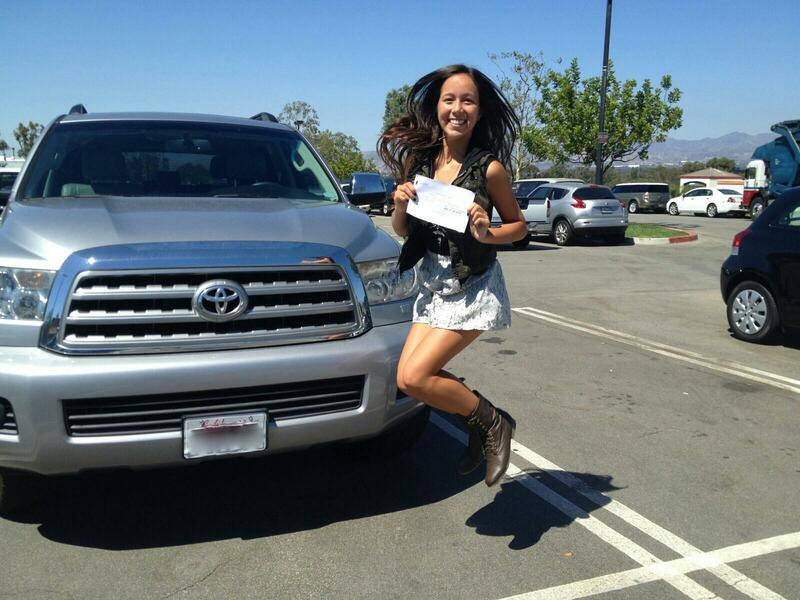 We studied driver's test pass rates across 12 of the most popular DMV's in California. Here's what we found. What matters on the road test? Before we take you through our top 12 list, a few important notes on what you should focus on when preparing for your California behind-the-wheel test. When it comes to passing your DMV road test, practice and experience is the most important factor. You should know what's on the test and how it's scored. Here's our post on The Top 5 Mistakes People Make on Their Road Test we definitely recommend. However, the scoring is still subjective to some degree and a lot of that comes down to the specific examiner and if there is a certain examiner culture at a particular DMV... That's what this post is for. For this article, we chose 12 of our most popular DMV's for our car and driver concierge service and looked at the numbers. To date, we've directly helped thousands with their road tests with our car and driver road test concierge service. From lowest to highest pass rate, here's our list. Of our popular DMV's with a large enough sample size, Santa Teresa definitely stands out. Actually this surprised us quite a bit. Anecdotally for a while we had heard that Santa Teresa was a "good alternative" to Santa Clara and San Jose if you lived in the South Bay in California. We were wrong. The streets here are generally quieter than in the busier South Bay locations which is one advantage, but because of a combination of the examiners (and of course the people we had take the test there) it happens to have a very low pass rate. If you do take a test here, don't worry. As with all of these tests, if you practice enough ahead of time with a driver who knows what's on the test, you will be well prepared. Many of the folks we help with road tests choose this location because it can be easier to get an appointment. However, a quicker appointment comes with some downside, at least at this location. This DMV has the lowest pass rate in the LA area. Familiarize yourself with the area (there's more pedestrian traffic here than other areas in LA) and show confidence on your test even if you're nervous. Examiners will appreciate you if you can demonstrate you are both confident and safe at the same time and will be less likely to want to fail you. San Mateo is one of the more difficult DMV's to pass at in the Bay Area for two reasons: The area is dense and has lots of cars (both parked and moving) and the examiners are tough... we've met some of the examiners and a couple of them can particularly be no-nonsense, strict, and in-control. If you do take your test here, remember: 38% percent of the people have passed. Don't you want to be a part of that 38%? :). Also, do get to the area early to practice. Since the neighborhood is adjacent to the 101 freeway, some of the streets are narrow and the traffic can be heavy. There are also a few schools in the area so make sure you know what to do when you pass a school bus with its stop sign out (hint: stop). Anecdotally we have viewed the Oakland Claremont DMV as an "easier" location, even though only half of our clients have passed here. This area is near the Oakland and Berkeley border and is a quieter area than, for example, the Oakland Coliseum DMV area. Also, the office is in a nice neighborhood and has an adjacent park. We're going out a limb here: Because of the nicer environment, some of the testers are happier and less stressed and... might actually be nice to you. This DMV is near YoGov HQ, so we actually did a mock road-test video for this location. If you're taking the test here, we recommend watching that video and getting to know some of the left-hands turns in the area ahead of time, as some of them can be tricky. The Fremont DMV is similar to the Santa Teresa DMV in that it often has earlier road test openings. At least compared to San Jose or Santa Clara. So, we do see a lot of folks who decide to book an appointment here, but be warned: Some of the examiners here can be tough. There's nothing particularly difficult about the area, but some of the examiners are, again, no-nonsense. El Cerrito is a great alternative DMV if you're in the East Bay. You can often find earlier appointments here and the area is not too challenging. Plus, it is a much quieter DMV. Based on our data, there's usually only 1 or 2 other cars in line ahead of you, which is very rare among DMVs. That means you have a good shot at getting in and out quickly. El Cerrito also has a few friendly examiners which is comforting to know. As always though, do check out the area ahead of time. Recently there has been some construction in the area, so it's a good idea to know what to expect ahead of time. This DMV is our most popular DMV for this simple reason: For some reason, the Redwood City DMV books a ton of appointments so you can often find earlier availability. There's one major downside to this: It is not uncommon to have 6-8 cars in line ahead of you and wait over 1 hour to take your test. If you do want an earlier test date and don't mind a little waiting, Redwood City is a good option. Anecdotally the routes are a bit easier and the examiners are by and large friendly as well. There has also been a bit of construction in this area recently so be sure to get there early and drive around the area! The South Bay DMV's are generally packed and this DMV is no exception. Between San Jose and Santa Clara, the offices are packed and the queues are long. Generally that means that more DMV examiners are available as well, so that sometimes helps speed up the wait. But do be prepared to wait if you go to the San Jose DMV. The streets are busier than, say, Redwood City or Santa Teresa, so expect to be a bit more cautious. For any road test location, examiners are asking themselves: Are you a safe driver? Are you a competent driver? Show them that the answers are yes and yes! Concord is a good one! We've heard of many people booking here because they can get quicker appointments and the examiners are nicer. Even though it's further to get to if you're in the East Bay or Bay Area, it could be worth the extra time if you're able to get an appointment here. The Concord DMV has one main examiner who is probably the friendliest DMV examiner we've ever heard about. No matter where you're from or what language you speak, he'll greet you in your language. He's a great example of examiners who will make you feel comfortable and at ease ahead of your test. Wow, this was our biggest surprise: 75% pass rate in Santa Clara. Our hunch was it would be less than half. The reason for this is simple: Anecdotally people talk about all the time how difficult Santa Clara is to take your test. A combination of tough examiners, very busy test queues, and some tricky streets reinforce that impression. Well, when we looked at the data this had one of our highest pass rates. Perhaps it because people who were really nervous avoided this area or testers were extra cautious and careful? We are going to sleuth around some more to find out exactly why this pass rate is so contrary to what we've heard. One anecdote to reinforce this: We had one client last week who passed here after we practiced with him for an hour beforehand. However, the examiner was yelling at him during the test and afterwords too (examiner yelling: "Why are you lying to my face!"). Remarkably, he still passed. So if you have thick skin, give this one a shot! This is another very big surprise! Many folks express to us that they don't want to take their test in San Francisco because of the perception that it's too busy, too crowded, too urban. While it is true that the area does have a lot of bike lanes and pedestrians and traffic, it is not particularly difficult. In fact, there are a few friendly examiners here too. If you do get an option to take your behind-the-wheel test at the San Francisco DMV on Fell Street, don't worry. A little prep in the neighborhood ahead of time will go a long way and get you on your way to getting a license. At the top of our list is Daly City with an 85% pass rate. That's incredible. We've heard that this is a popular alternative for those who don't want to take their test in San Francisco, and this location can have quicker openings from time to time. This area is not particularly challenging, and has some quiet residential areas and a few main streets (that aren't too busy). While it's a very busy DMV for office appointments, the DMV behind-the-wheel test queue has never been that long, so it's not even a bad wait. We were surprised when we looked through this data: Some of the "easy" DMVs had low pass rates and some of the "super tough" ones had high pass rates. We wanted to look at the data to help give all future road test takers some helpful insight! No matter what DMV you take your test at and no matter what DMV examiner you get, you can still prepare the exact same way: get to know the area and how the test is scored, and practice driving! You might believe there are some "DMV test hacks" but our best advice is to practice, practice, practice. If you've decided on which DMV you'd like to take your test at, book a road test appointment - we even offer express appointments. We want everyone that we help to pass, but we definitely don't want to be driving next to you if you're not ready to hit the road! You can can always practice with us just before your road test too! To date, we've helped thousands of people with their road tests in California with our car and driver road test concierge service. Feel free to check it out and we'll send you more tips and info. We hope to see you on the road soon with your California driver's license. Did we miss any DMV's that you've taken a test at or are going to? Leave a comment and we can look up the data for you!